I've mentioned some of the disadvantages of wind power briefly in my article covering wind power pros and cons. So consider this section a continuation of that, but here I'll go into a little more detail and explore a few other disadvantages. The initial cost - this is probably the main disadvantage of wind power as it comes right at the start of your project and can be substantial. The cost will obviously vary depending on the size and type of your chosen wind turbine. You can buy small turbines but these will produce very little output (see my articles on wind power efficiency and the wind power graph for more details). After reading these articles you'll understand why you really need to buy as large a residential wind turbine as you can in order to get the maximum possible output. This however means more cost up front. It's not unheard of for one of the larger residential wind turbines to cost in excess of £22,000 (for turbines in the region of 6Kw). 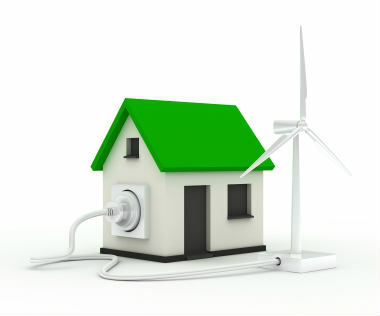 A typical home in the UK requires around 4,500kWh per year. The light at the end of the tunnel is that you may be able to get some grant aid to assist with the installation (depending on where you live). Once your wind turbine is up and producing electricity you should be able to claim Feed in Tariff or NIROCS (for N. Ireland) payments providing you have used an MCS accredited installer. However you should be aware that the FIT payments have been reduced and will continue to reduce further the longer you leave your decision to install. Wind isn't reliable - you'll often hear this quoted as one of the major disadvantages of wind power and I've included it here with a caveat. If you’ve done your homework correctly, you'll allready know what the annual average wind speed is in your location and if there's anything which could affect that wind speed surrounding your property. If the wind speed in your location isn't high enough to generate meaningful amounts of electricity, you shouldn't go any further. If it is suitable, you'll still be affected by daily fluctuations in wind speed. Over the course of the year the wind speed will average out and provided you're connected to the grid to draw electricity on calm days, this won't be an issue. If however you're not on the grid, you'll need to install batteries to store the electricity and possibly a backup system such as photovoltaic solar panels or roof tiles to provide additional electricity on calm days. 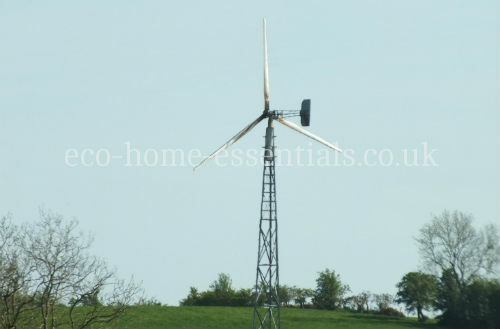 Your neighbours - Not everyone likes the look of turbines and as you'll normally have to apply for planning permission to erect it, your neighbours will be notified and get an opportunity to lodge objections. The best way of dealing with neighbours, in my opinion, is to be open with them from the start of your project and before you get to the application stage. Sound them out and explain what you are doing, what you hope to achieve and maybe even dispel the myths about wind turbines. Location - your location will have a huge bearing on whether or not your property will be suitable for wind power generation. If you're living in an urban environment you'll probably find that surrounding buildings and other obstacles will affect the quality of the wind to such an extent that a residential wind turbine isn’t viable. Plus getting planning permission will be very unlikely. The planners may restrict you to one of the small roof top turbines which will produce very little electricity. 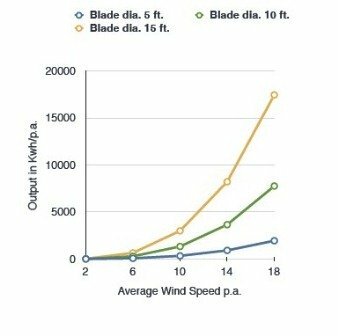 Don't assume two or three of these small turbines will produce the same output as one large turbine because it doesn't work that way (if you haven't already read my article on wind power efficiency, it'll help you understand why several small turbines can never rival one large turbine on output figures). Maintenance - I debated whether or not to include this as one of the disadvantages of wind power. Just like any piece of machinery, a residential wind turbine will require on-going maintenance but it shouldn't be excessive (normally £100 - £200 per annum).Always ask what the annual maintenance will be before ordering any turbine. 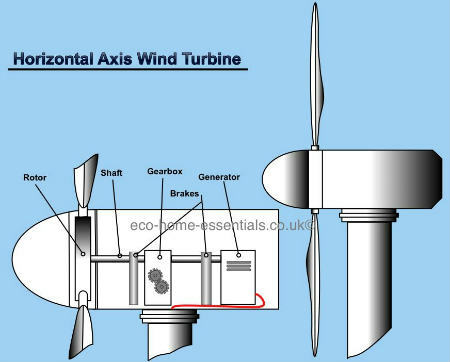 From time to time you'll have to replace worn parts and although most modern wind turbines should last around 20 - 25 years you will likely have to replace the invertor after 8-10 years (these can cost around £1,500 - £3,000) depending on the size and type of turbine you have. All in all, the costs of wind power are fairly low once the initial purchase price and installation is out of the way. Aesthetics - this is only an issue if you or your neighbours don't like the look of residential wind turbines. If your neighbours don't like them and you already have your planning permission, then you can choose to take their opinions on board, or not. If you don't like the look of it then you may want to consider the alternatives such as PV solar panels. Noise - wind turbines have had bad press over recent years due to "noise pollution" but this is primarily related to commercial wind farms where there are a lot of turbines in one area. Modern residential turbines are much quieter, although as with any mechanical item with moving parts there will be some noise. The level of noise is not as bad as some people would have you believe. There will be noise from any wind turbine but the noise levels are not excessive and as with any background noise (such as a nearby road) you do adjust to it very quickly. After a while it's unlikely that you will even notice it. As with any new technology, some people will embrace it and others will fight against it. As a technology the disadvantages of wind power will always be present but you shouldn't forget there are many advantages as well. Personally, I feel the disadvantages of wind power are small provided you can live with the initial cost. 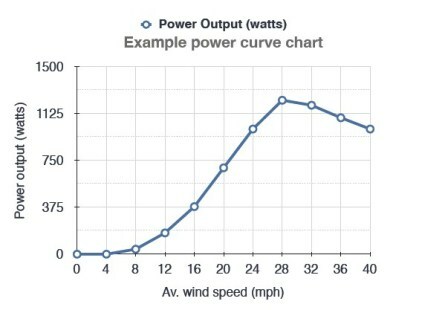 You do however need to do all the relevant research before you go any further, such as getting all the wind Power facts assessing your average wind speed, understanding how wind power works, and how it will have a bearing on what size of turbine you should buy.